EN 61308 ed. 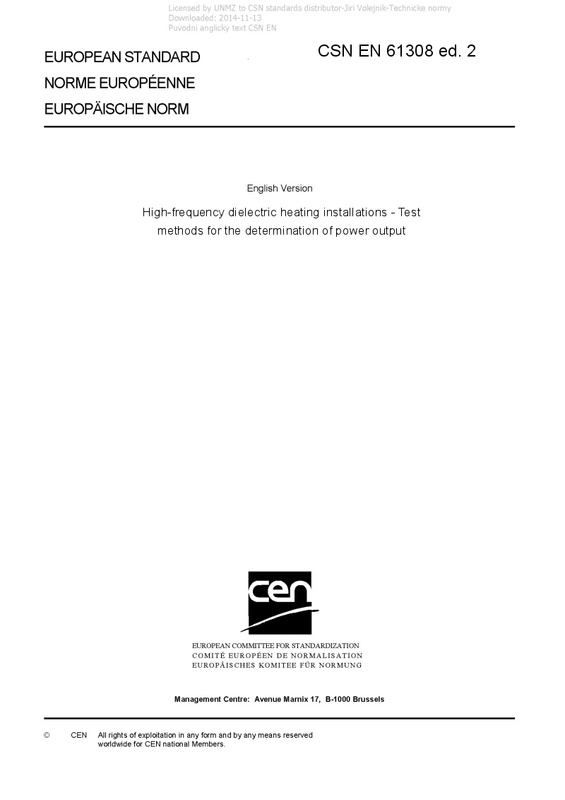 2 High-frequency dielectric heating installations - Test methods for the determination of power output - Is applicable to industrial high-frequency dielectric heating installations used for the purpose of thermal applications such as melting, drying, welding, insect extermination, and gluing of partially conductive or non-conductive materials. Assists in compliance with the requirements set out in 6.4 of IEC 60519-9 when testing electroheating power sources.